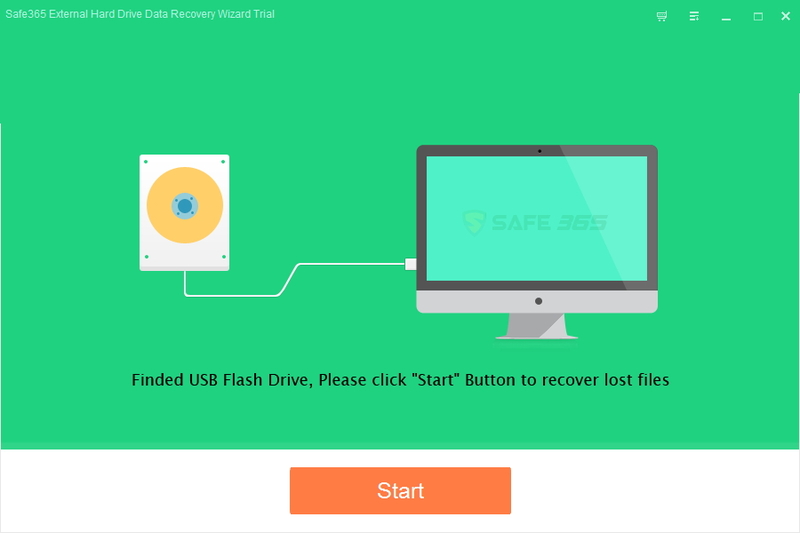 Safe365 External Hard Drive Data Recovery Wizard supports repairing various types of files from External Hard Drive, including documents, pictures, multimedia, CHM, XML, CAB, archives, PDFs, even Microsoft Office files. It can detect any external memory device connected to the computer, in order to restore lost data from it. The supported devices include IDE, SATA, SCSI or USB external hard disks, memory cards, USB flash drive, Blu-ray disks or iPods. Step 1. Connect the external hard drive to the computer. Install and launch Free External Hard Drive Data Recovery click "Start" button to move to the next step. Step 2. Select the external hard drive and select the file types you want to recover. Then click "Scan" button, the software will quickly scan the selected disk to find all your target files. Step 3. 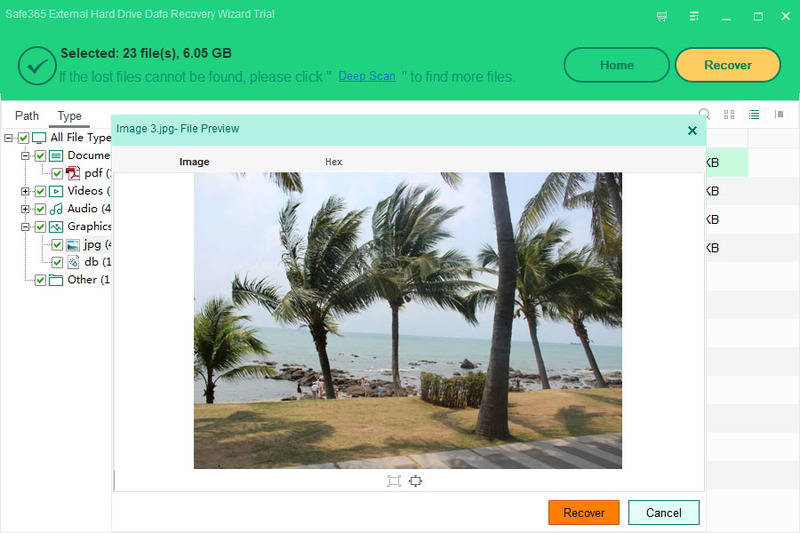 After scan, you can preview all the listed recoverable files one by one and select out those you want. Click "Recover" button to get them back. Please save all the recovered files on another disk to avoid data overwriting.